December 7, 2013 by Iva P.
In France, Christmas is called Noël. Noël means la bonne nouvelle or “the good news”. Of the visible signs of Christmas in the 19th century Paris, the Christmas tree was not a common sight, but no home was without a crèche, the Nativity scene. On Christmas Eve, children left their shoes by the fireplace to be filled with gifts from Pere Noel. Adults received no gifts until the New Year’s Étrennes. 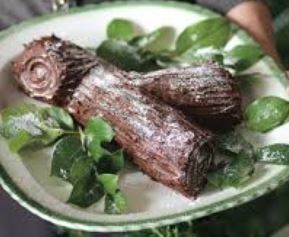 Evergreens, such as ivy and mistletoe, decorated the mantel piece and the dinner table readied for Le Réveillon, the after Midnight Mass feast. That’s right: the French have to wait until after midnight to celebrate Christmas with food. What food and how much of it (lots!) 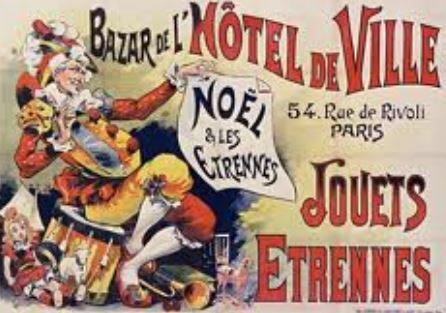 is described in The Réveillon: Christmas the French Way. A Joyeux Noël to all!